Brick buildings shape South Africa’s architectural heritage – in every province you will find beautiful and functional schools, social infrastructure, hospitals, churches, stately homes, forts and lighthouses. You will also find affordable brick homes moulded from South African soil that have protected and served South African families across several generations. Brick masonry does not rot, tarnish, puncture, fade, rust, scuff, peel, erode or burn. The average clay brick structure last over 100 years, and there are numerous brick buildings older than 500 years. The Bell Tower at the Castle of Good Hope in Cape Town – South Africa’s oldest building – has braved the Cape of Storms since 1684 . Clay brick structures have impressively high load-bearing capacity, high dimensional stability and compressive strength. These properties limit cracking and ensure structural integrity. This provides opportunity to dissipate all embodied energy over its life cycle, reducing its carbon footprint. Bricks vary in compressive strength ranging from a minimum of 7 MPa for NFP bricks, to greater than 50MPa for Face Brick Extra and Engineering products. Clay Brick is incombustible, and therefore cannot contribute to the start or rapid spread of fire. Double leaf clay brick walls achieve maximum fire ratings of 240 minutes of resistance with impairing structural strength. Brick walls do not conduct electricity or lightning. During production, clay bricks are fired at temperatures between 1000°C and 1200°C so they are capable of resisting this level of heat without damage. Clay Bricks are fired in a kiln, not dried in the sun so they can withstand saturation from flood water without being adversely affected structurally. They are water resistant and impervious to all weather. They absorb moisture so that walls that become damp, dry out just as quickly without ugly colour changes. Clay brick is a dense construction material, and protects against natural disasters like flooding, lightning and hail, as well as civil crime, vandalism and unrest. The Great Wall of China protected half of Asia from the Mongolian invaders. Bricks are manufactured to SABS specifications and their use is controlled by strict national building regulations to protect home owners and property investors. SANS 227:2007 and SANS 1 575:2007 classifies the South African National Standard for burnt (or fired) clay bricks and paving units. Clay brick withstands severe climate zones and industrial areas where high acid or alkaline discharges occur. At the coast, salt sea mist, high water tables, soluble sulphates in the soil, and rapid temperature changes combine to create a corrosive environment. Green Point lighthouse, a landmark from 1824 and South Africa’s first lighthouse, is built from brick. Bricks have the structural density to support built in cupboards, heavy shelves and wall mounted fixtures. You can even remove a non-load bearing wall entirely without compromising the integrity of the building. Property owners have the opportunity to do alterations and extensions. Double leaf brick walls protect conduit and piping without reducing accessibility. Due to the durability of brickwork construction, life cycle cost analysis demonstrates the long-term benefits of building with brick. Clay face bricks require little or no maintenance ensuring lowest life cycle costs, saving both time and money year after year. Low maintenance mitigates carbon debt associated with painting, refurbishment and replacement. Although clay brick bricks and pavers are very durable, they can become stained, and mortar can crumble after long exposure to the elements. Simply drill out or remove the mortar, remove the brick and replace it. Most brickwork stains can be cleaned with a stiff fibre brush and running water, but in special circumstances chemical cleaners are inexpensive, easily available and well documented. Clay Bricks are thermal batteries, using energy from the sun to provide thermal efficiency in a hot South African climate. 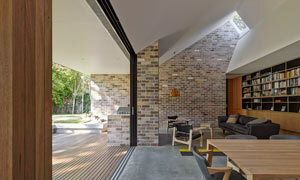 Bricks can “self-regulate” keeping internal space naturally cool in summer and warm in winter. Thermal capacity is a measure of the degree of heat that can be stored by a wall. High thermal capacity (C) with resistance (R) results in a high CR value that achieves optimal energy efficiency and lowest heating and cooling energy usage. Inherent thermal capacity significantly reduces the need for more expensive insulation materials between the brick leaves. The more thermally efficient the building, the greater the energy savings. Brick is designed to absorb the warmth of the sun all day, and release the heat inside during freezing winter nights. Clay brick's thermal efficiency reduces the need for heating and air-conditioning, with lifetime savings for property owners. All building materials also undergo daily thermal expansion and contraction and these daily temperature swings can result in stress cracks over time. The thermal expansion and contraction of clay brick is minimal throughout the year. Depending on the clay mixture and firing process, the coefficient of linear thermal movement is between 4-8. Movement per 10m of wall for a 50 degree temperature change is between 2-4mm. Clay bricks can be salvaged and reused when the existing structure has outlived it usefulness. Bricks can be crushed and recycled as aggregate for road construction, sub-base or non-toxic landfill and site levelling. Bricks have consistent sizes. There is a rough arithmetical relationship of length to width of 2:1 and length to height of 3:1 in the standard brick. The most common brick size is 222mm (long) x 106mm (wide) x 73mm (high) with a mass of between 2,4kg and 3,3kg. There is increasing pressure on building professionals, municipalities and government to incorporate green principles into sustainable construction and living. Clay brick in combination with thermal insulation in cavity wall construction easily meets the Deemed-to-Satisfy requirements of SANS 204 and SANS 10400-XA: Energy Usage in Buildings. Non-standard, large size bricks (often called Maxi’s) lower material cost, use less mortar and have fewer joins per square metre. With 140mm-wide bricks, one can build a single leaf wall that meets SABS10400-XA. Bricks are modular and easy to transport. Bricks can be moved in a small bakkie and relocated on site by hand, so they can cope with rural roads and restricted space on site. Buy as fast as you can build. 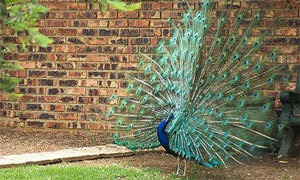 No matter where you build in South Africa, you have fast access to quality products. Competitively-priced brick suppliers can be found in every region, providing consistent quality stock-in-hand and short transport distances. Modular clay brick walling allows construction teams to quickly adapt to the client’s variation requests, respond to unexpected site conditions, implement complex architectural designs and deal with logistics or on-site damage and errors. Bricks have known parameters for use with different foundations, soils and climate zones, ensuring consistent strength, timing and costs. Brick masonry construction does not require large staging areas or large equipment for placement, Bricks are weatherproof and can be stored near where they are needed. Because of the modular nature of brick, on-site construction waste is reduced. Scrap brick is easily crushed and recycled for new uses, thus avoiding removal and landfill costs. Packaging from brick is minimal and easily recycled. Bricklaying and paving is not capital intensive - the investment for a skilled small contractor is little more than the cost of raw materials. Many bricklayers and plasterers set up as independent craftsman. Sustainably designed buildings are energy efficient, resource-efficient and serve the long term economic, social and environmental needs of communities. Clay brick masonry demonstrates all these qualities during construction, throughout its long operational life. With its ability to regulate both temperature and air humidity, brick homes maintain an interior comfort zone in both the coolest and hottest months. Double leaf clay brick walls minimise interior condensation in the winter rainfall regions of the Western Cape. Brick masonry is often the material of choice in passive solar design strategies. Clay bricks are resistant to damage from ants, borer and termites. Thanks to their high density, clay brick prevents insects and rodents from breeding or chewing through walls. Brick masonry is not a food source for moulds and fungi and does not promote mould growth even when wet. Clay bricks quickly release moisture back into the environment and do not remain damp. Double leaf walls reduce the variance between cold outdoor temperatures and warm interiors. The density and mass of Clay Bricks makes them a natural sound barrier with high acoustic protection - ideal for schools and community buildings. Brick homes keep suburbs quiet even with high-density living. The acoustic insulation of clay brick ranges from 43db to 49db. Clay Bricks release no VOC’s (Volatile Organic Compounds) to impact on indoor air quality. Clay Bricks release no toxic fumes/gases under either normal or fire conditions. Made from 100% natural clay and shale, clay bricks meet all necessary requirements for healthy living, and cannot contribute to "sick building syndrome"
Research and prolonged use has proven that segmented clay paving complies with accessibility guidelines for wheelchairs and is user-friendly for those with poor vision, crutches, walking aids, prams, trolleys or other wheeled equipment. Brick products and manufacturing technologies are not imported, every brick is made here in South Africa under well-regulated quality standards. Brick production plants are found outside urban centres and provide stimulus for economic transformation, local job creation and skills development. No matter where the construction site is located there will be trained, local bricklayers to complete the project. It is estimated that over 200,000 workers are directly employed across the building industry as brick makers, brick layers and plasterers. Clay Brick’s simple rectangular format has an appealing human scale providing for endless applications and interesting design using different bond patterns, combinations of colours, and textures, allowing for endless opportunity to individualise one’s home - a modern work of art. Clay brick houses have long been used as the benchmark for quality housing in South Africa, having high aspirational value for all South Africans. 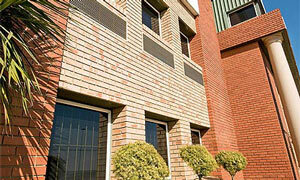 Clay brick homes are always in demand, and define the benchmark for superior investment value. King Henry the 8th of England lived in a home of red clay brick - the world renowned Hampton Court Palace. His descendants, Queen Elizabeth and Prince Charles have clay brick homes today. 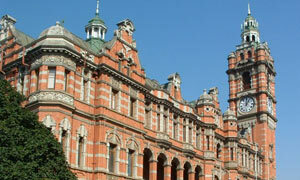 Many of the world’s most beautiful heritage buildings show off clay brick exteriors. The varied colour palette and texture choices of natural brick means it doesn’t need to be hidden away under plaster and paint. From deep red to light creams, tans and greys, clay brick masonry creates one-of-a-kind home exteriors that make a statement. A bond is the pattern in which bricks are laid. The visual contrast between courses of headers and stretchers combined with differences of colour or tone create subtle horizontal, vertical, cross and diagonal motifs. Bonding patterns can recur as unifying thematic elements as functional as they are fabulous. Clay bricks are more than building blocks. Corners, radials, bullnoses, sloped sills, headers, coping caps can be used for dramatic angles and curves. Specially shaped bricks provide an aesthetic visual appeal and unique design elements. Brick add atmosphere and a tactile dimension to an otherwise plain wall. Three-dimensional, symmetrical lines of masonry offer a constantly changing display of sculptural light and shadow, even when painted, adding character by creating stunning accents that enrich the design. Masonry walls blend well with both traditional and contemporary materials. Brick brings rich colours and textures to concrete, steel and glass buildings. Brickwork also complements rustic building materials like timber, stone and thatch while bestowing a sense of heritage and authenticity to the home. When you build with clay brick, you build for the future. You build pride and dignity. You create satisfied occupants living and working in a safe, healthy environment. You create satisfied property owners who can rely on affordable and easily maintained infrastructure. And you create prosperous local communities and entrepreneurs.